Halifax Regional Municipality (HRM) is inviting applications for the permanent position of Legal Assistant in Legal Services, part of the Legal, Municipal Clerk & External Affairs Business Unit. Halifax Regional Municipality, as a deliverer of municipal government services, is involved in a broad range of activities that exposes it to legal challenges including legislative challenges, provision of legal advice to Council, boards and committees of Council and various Business Units, contract negotiations, personal injury litigation, commercial litigation and arbitrations, labour arbitrations, prosecutions, and advocacy before numerous tribunals. With HRM as its client, Legal Services provides quality, cost effective, timely and accessible legal services to meet the needs of HRM through its Council, various departments, boards, commissions, and employees. Reporting operationally to their assigned lawyers, and administratively to the Legal Administrative Coordinator, the Legal Assistant is responsible for a wide variety of legal and administrative duties within the Legal Services division. Responsibilities include, but are not limited to: preparation of legal documents and correspondence, dictation transcription; paper and electronic filing, managing correspondence, opening and closing of files, responding to inquiries, and interacting with internal clients, external parties, and the general public. Broad and thorough knowledge of legal concepts, practices and principles is essential for this role. In the Team environment of Legal Services, Legal Assistants may be required to work for several lawyers at the same time and have additional expertise in one or more of the following areas of law: Litigation, Prosecutions, Solicitor Services (Advisory Services, Corporate/Commercial and/or Real Property) and also assist in the overall management of the department including duties such as library maintenance (including book updates) and supply ordering. We encourage applications from qualified African Nova Scotians, racially visible persons, women in non-traditional positions, persons with disabilities and Aboriginal persons and persons from the LGBTQ+ Community . HRM encourages applicants to self-identify. QUALIFICATIONS Education and Experience : High School Diploma and a Legal Assistant Certificate with a minimum of three (3) years of related experience in a Legal Assistant position with demonstrated performance capabilities. A combination of education and experience may be considered. Experience with general litigation or prosecution will be considered an asset Technical / Job Specific Knowledge and Abilities : Excellent interpersonal and communications skills, both written and verbal Excellent organizational and problem solving skills Superior time management skills and the ability to prioritize tasks with minimal supervision Strong sense of ethics and the ability to handle sensitive and confidential or private information with tact and discretion; knowledge of privacy laws High level of sound and independent judgment, reasoning, and diplomacy Ability to work effectively both independently and as part of a team on a multitude of tasks in variable situations Strong customer service orientation, ability to deal with lawyers and public under stressful situations High level of accuracy and attention to detail is required while working within strict timelines Proficiency and expertise in the use of current office technology and related software (i.e. : Microsoft Office, Adobe XI Pro, copiers, scanner, fax machine, etc.) Experience working with file/document management systems Excellent writing skills, including proper spelling, grammar, and punctuation for complex documentation and ability to independently draft correspondence at a professional skill level Knowledge of legal terminology and ability to draft legal documentation as required Thorough knowledge and understanding of court proceedings, appeal processes, statutes, court decisions, ordinances, resolutions, and legal documentation, ensures compliance with court filing practices Understanding of legal reference materials, procedures, and legal filing systems Critical thinking, analysis, and research skills are essential Resourceful and flexible Professional, responsive, and positive work attitude is critical Knowledge of municipal issues, administration and government including council processes and procedures, By-laws, Halifax Regional Municipality Charter, Municipal Government Act, and Civil Procedure Rules considered an asset Knowledge of general litigation, labour, prosecution and regulatory law matters will be considered an asset Good internet research skills using reputable and authorized sources. Familiarity with Government web-based search tools, including Property Online, Registry of Joint Stock Companies, JEIN, or caselaw websites, including Quicklaw, CanLII, and WestlawNext, etc. considered as an asset Security Clearance Requirements : Applicants may be required to complete an employment security screening check. Please note – Testing may be conducted as a component of the selection process to assess technical and job specific knowledge. Candidates, who are selected for testing, may be tested in a group setting, scheduled at the employer’s discretion. Competencies : Values and Ethics, Organizational Awareness, Customer Service, Communications, Valuing Diversity, Teamwork and Cooperation, Organization and Planning WORK STATUS : Permanent, Full-time HOURS OF WORK : Monday – Friday, 35 hours per week. May require some overtime based on operational requirements SALARY : Non-union Level A2 ($44,500-$56,000). Compensation is commensurate with experience and training. WORK LOCATION : 3rd Floor, Duke Tower, Halifax CLOSING DATE : Applications will be received up to midnight on Sunday, May 5, 2019. We thank all applicants for their interest in this position. Only those applicants selected for interview/testing will be contacted. During the recruitment process, applicants have the right to request accommodation. Applicants invited to participate in an assessment process (such as an interview or testing) and who require accommodation, should discuss their needs with the Recruiter when invited to the assessment process. Qualified HRM retirees may also be considered for competition. In these circumstances, a form of employment may be offered, including term and/or contract employment. 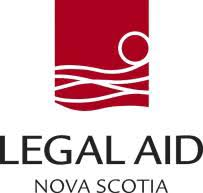 The Nova Scotia Legal Aid Commission is the largest Law firm in Nova Scotia with 23 full-service offices located throughout the Province, which deliver legal services and some level of help to Nova Scotians, with a focus on supporting those who are vulnerable and historically disadvantaged, including: Indigenous Peoples, African Nova Scotians, Immigrants and economically disadvantaged persons. Position: Legal Assistant position for the Halifax North Agricola Street Office. This is a 1 year contract position with the potential of permanency. Reporting to the Managing Lawyer (ML) or those persons designated by the ML, and under the direction of one, or more, Staff Lawyers. The Legal Assistant will primarily manage the front desk, be the first point of contact for our clients, provide administrative support to lawyers and other staff members. An understanding of and commitment to excellence in client service is imperative. Salary Range: NSLAC Clerical Pay Scale (CL); Per Legal Aid salary scale. Responsibilities (includes but not limited to): Management of the front desk, incoming calls, application intake process and distribution. Demonstrate a commitment to diversity and inclusion. Provide administrative support for Staff Lawyers’ practice. Type briefs, correspondence, legal documents, assuring timely preparation and accuracy. Ensure effective management of all legal administrative related duties. Assume responsibility for the imprest account, petty cash, trust fund accounts and reconciliation of same. Assist ML with Occupational Health and Safety responsibilities, including training pertaining to the same. Any other additional projects and tasks as required. Candidates must have the following requirements: The minimum educational qualification in a recognized Business, Legal or Office Administration Certificate/diploma. Minimum of one years' recent and related experience in a fast-paced legal environment. Reception or Customer Service experience Excellent PC literacy – Word, Excel, Outlook, etc. Proficiency in typing and Dictaphone Transcription. Exceptional attention to detail and accuracy and capacity to work under pressure of deadlines and multiple competing priorities. Desirable personal attributes, skills and Knowledge Excellent interpersonal skills and are able to interact at all levels of an organization. Knowledge of superior client service skills. Team working skills to contribute positively to a team environment. Ability to problem solve with critical thinking skills. Strong communicator both written and oral. Ability to transcribe is desired. Depending upon the position assignment, must be familiar with and have a working knowledge of at least one or two of the following: Divorce Act ; Parenting and Support Act; Matrimonial Property Act , and related documentation filing requirements and procedures; and the Children and Family Services Act and related documentation and procedures. You will find a place to grow personally and professionally with opportunities for professional development. You will do meaningful and challenging work in a publically accountable and respectful working environment that is diverse, safe and inclusive. Candidates can submit their resume and full cover letter as one document in confidence to : Evelyn Adesida Human Resources (HR) Specialist Nova Scotia Legal Aid Commission 920-1701 Hollis Street Halifax, NS B3J 3M8 Tel: 902-420-6588 Closing Date: Thursday, April 25, 2019 at 4:30 PM We thank you in advance for your application, however only qualified candidates will be contacted Our goal is to be a diverse workforce that is representative, at all job levels, of the citizens we serve. We have an Employment Equity Policy and welcome applications from historically disadvantaged groups, including: Indigenous People, African Nova Scotians and Other Racially Visible Persons, Persons with Disabilities, and Women in occupations or positions where they are under-represented. If you are a member of one of the equity groups, you are highly encouraged to self-identify, on your application form, cover letter, or resume. While we appreciate receiving all applications, only applicants selected for an interview will be contacted. All applications will be held in strict confidence. The Opportunity Halifax, NS Administrative Experienced Full-time - Permanent Are you an experienced legal administrative professional looking for a new and exciting opportunity? Do you excel in providing exceptional client service while working in a fast-paced, innovative and collaborative environment in which you learn everyday? Our team is seeking a Litigation Paralegal to join our firm in a full-time permanent position. As part of the Litigation services team, you will provide support to the litigation team regionally. Our new team member will be preferably based in our Halifax office; however, we will consider applications in any of our six office locations. Share What you'll do Responsibilities As a Litigation Paralegal, you will be responsible for: Preparing correspondence, legal documents, various court documents and orders; Assisting in preparation for and attending discoveries, trials and hearings as requested; Managing all aspects of the preparation of Affidavits of Documents and document production, maintaining undertakings, and preparation and registration of Judgments; Using ediscovery technology to manage large, document intensive files; Communicating with clients, opposing parties, witnesses and court personnel; File preparation, organization and management, utilizing a bring forward system to monitor progress of all files including monitoring expiry dates, filing deadlines and limitation periods; Being creative, sharing ideas, learning from others and sharing your skills and knowledge; and, Challenging yourself and your team every day; and having fun while doing so! What you'll need Qualifications The successful candidate will possess the following skill set: The ideal candidate will have a Paralegal or Legal Administration diploma or the equivalent combination of experience and related education; Minimum 5 years experience as a Legal Assistant or Paralegal within Litigation; Experience with e-discovery technology and litigation software; Exceptional technology skills, with proficiency in all aspects of Microsoft Office, legal billing systems and a genuine interest in keeping up to date with the newest technology; Excel in a demanding, high-pace team environment, be highly detail-oriented, and be flexible to changing priorities; Exceptional communication skills, a special focus on client service and the highest degree of professionalism; and, A positive attitude and enjoy working in a collaborative team environment. We're looking for Core Skills Client-focused Collaborative Environment Comfortable working independently Interpersonal and Communication Positive attitude Strong attention to detail E-Discovery Technology Interested in new technology A little bit about us McInnes Cooper About MC McInnes Cooper is among the 25 largest business law firms in Canada. We serve clients across North America and abroad from six offices in Halifax, St. John's, Fredericton, Moncton, Saint John, and Charlottetown. With nearly 200 lawyers and over 230 professional resources, we are positioned to offer clients a range of legal and business services. We provide services to industry-leading clients in every major sector and with experience in all jurisdictions. Our People At McInnes Cooper you will find a team that values you. We recognize that our members are key in delivering outstanding client service and we provide a collaborative, professional environment with a member focused culture. We are committed to creating an inclusive work environment that values, respects and supports different perspectives, cultures and experiences. Diversity & Inclusion We recognize that our individual differences make us a stronger, more adaptable law firm. We embrace these differences and give all of our members the opportunity to develop their unique skills and talents. Collective Social Responsibility We are recognized as a leader and innovator amongst Canadian law firms in the field of Collective Social Responsibility. Our people are concerned citizens who enjoy giving back. Together, we focus on developing ongoing partnerships with community organizations that do amazing work, often despite limited resources and public awareness. As a firm, we have the ability to respond with contributions of time and monetary support, and our people give generously of their skills and effort. Pro Bono Legal Services Through our Pro Bono Program, we provide legal counsel to disadvantaged people and organizations that have difficulty gaining access to justice on matters of public interest. Environmental Stewardship Like any large organization, our operations leave a footprint on the environment. From paper use and waste production to transportation and energy consumption, we continually look for opportunities to minimize that impact. Are you interested? Work With Us This role offers an exceptional compensation package including a competitive salary, defined-benefit pension plan and Firm-paid health and dental benefits, Health Spending Account, Wellness Spending Account as well as Vacation, Personal & Sick Days. Justice Legal Assistant, Child Protection (Secretary 2), Permanent, HALIFAX Competition # 18559 About Us The Legal Services Division of the Department of Justice is the government’s law office, responsible for the provision of all legal services (excluding prosecutions) to the Province of Nova Scotia. The lawyers in the Legal Services Division provide legal advice and services on a broad range of matters to the Government and many of its agencies, boards and commissions. The professional support staff provide day to day support to the lawyers and senior management. The Legal Services Division consists of Solicitor Services, Litigation Services (including Child Protection) and the Registry of Regulations. About Our Opportunity We are recruiting a Legal Assistant for our Child Protection Office in Halifax. The Legal Assistant is responsible for providing effective and efficient support for two or more lawyers. In this role, you will be responsible for creating, tracking and managing Child Protection files. You will provide document preparation for child protection litigation files in the Halifax office. The opportunity requires you to be able to adapt to shifting priorities, balance your efforts between providing legal assistance and administrative support, respond in a timely and appropriate manner to inquiries and to be organized in your day to day file management. About You As our successful candidate you will possess a High School Diploma (Grade 12) plus a certificate/diploma from a Legal Assistant or Paralegal program and 3 years’ experience in a legal practice or an acceptable combination of education/training and experience. You have experience and competency in an automated environment, with proficient and accurate typing, dicta typing, MS Word, and data entry skills. You have knowledge of legal terminology, procedures and documentation including the preparation of trial materials, as well as excellent research, analytical and organizational skills. Your excellent communication skills both written and oral giving you the ability to deal with the public, clients, lawyers and judicial support staff in a fair, caring and impartial manner communicating in a clear and concise manner while maintaining confidentiality and impartiality. We will assess the above qualifications and competencies using one or more of the following tools: written examination, standardized tests, oral presentations, interview(s), and reference checks. Other Considerations Experience working with and/or knowledge of the Children and Family Services Act and Nova Scotia Supreme Court, Family Division would be considered an asset. Successful candidates must provide a recent Criminal Records and Child Abuse Registry Check as a condition of employment. Pay Grade: CL 21 Salary Range: $1,677.00 - $1,870.00 Bi-Weekly This is a bargaining unit position initially restricted to current civil service employees represented by the Nova Scotia Government Employees Union (NSGEU). If applying from outside a government office, employees must apply correctly via this link: Failure to apply correctly means that your application will not be given first consideration as a bargaining unit applicant, and will only be included if external applications are pursued. External applicants and current casual employees will only be considered if there are no qualified civil service bargaining unit candidates. Our goal is to be a diverse workforce that is representative, at all job levels, of the citizens we serve. The Government of Nova Scotia has an Employment Equity Policy and we welcome applications from Aboriginal People, African Nova Scotians and Other Racially Visible Persons, Persons with Disabilities and Women in occupations or positions where they are under-represented. If you are a member of one of the equity groups, you are encouraged to self-identify on your electronic application. Offer of employment is conditional upon the completion of all applicable background checks and confirmation of credentials, the results of which must be satisfactory to the employer . We thank all applicants for their interest, however, only those selected for an interview will be contacted. For questions or concerns, please contact Competitions@novascotia.ca. Click here to see how we won! Justice Legal Assistant (Secretary 2), Permanent, HALIFAX Competition # 18450 About Us The Legal Services Division of the Department of Justice is the government’s law office, responsible for the provision of all legal services (excluding prosecutions) to the Province of Nova Scotia. The lawyers in the Legal Services Division provide legal advice and services on a broad range of matters to the Government and many of its agencies, boards and commissions. The professional support staff provide day to day support to the lawyers and senior management. The Legal Services Division consists of Solicitor Services, Litigation Services (including Child Protection) and the Registry of Regulations. About Our Opportunity We are recruiting a Legal Assistant for our Litigation Services Section within our division. Under the direction of two or more lawyers, the Legal Assistant provides high quality, specialized legal administrative assistance and file management support. The incumbent utilizes strong secretarial/administrative skills, knowledge of legal terminology and specialized procedures pertaining to certain areas of law. The Legal Assistant performs the role effectively under the pressures and strain of inflexible deadlines in a highly confidential office setting under minimal supervision. You will be responsible for creating, tracking and managing Litigation Services files. The opportunity requires you to be able to adapt to shifting priorities, balance your efforts between providing legal assistance and administrative support, respond in a timely and appropriate manner to inquiries and to be organized in your day to day file management. About You As our successful candidate you will possess a certificate/diploma from a Legal Assistant or Paralegal program and 3 years’ experience in a legal practice or an acceptable combination of education/training and experience. Duties include, but are not limited to the following: Preparing correspondence, presentations and documents from handwritten material and Dicta/digital dictation. Organizing and maintaining files. Answering phones, e-mails and responding to inquiries from internal and external clients and the public. Scheduling meetings and booking boardrooms. Making travel arrangements and preparing travel expenses. You have experience and competency in an automated environment, with proficient and accurate typing, dicta typing, MS Word, and data entry skills. You have knowledge of legal terminology, procedures and documentation including the preparation of trial materials, as well as excellent research, analytical and organizational skills. Your excellent communication skills both written and oral giving you the ability to deal with clients, lawyers and judicial support staff in a fair, caring and impartial manner communicating in a clear and concise manner while maintaining confidentiality and impartiality. We will assess the above qualifications and competencies using one or more of the following tools: written examination, standardized tests, oral presentations, interview(s), and reference checks. Other Considerations Knowledge of the various levels of Court. Experience with file management systems. Knowledge of provincial government departments and agencies. Knowledge of Civil Procedure Rules. Candidates must clearly indicate in their resume where they meet the required qualifications and assets. Pay Grade: CL 21 Salary Range: $1,644.00 - $1,833.00 Bi-Weekly This is a bargaining unit position initially restricted to current civil service employees represented by the Nova Scotia Government Employees Union (NSGEU). If applying from outside a government office, employees must apply correctly via this link: Failure to apply correctly means that your application will not be given first consideration as a bargaining unit applicant, and will only be included if external applications are pursued. External applicants and current casual employees will only be considered if there are no qualified civil service bargaining unit candidates. Our goal is to be a diverse workforce that is representative, at all job levels, of the citizens we serve. The Government of Nova Scotia has an Employment Equity Policy and we welcome applications from Aboriginal People, African Nova Scotians and Other Racially Visible Persons, Persons with Disabilities and Women in occupations or positions where they are under-represented. If you are a member of one of the equity groups, you are encouraged to self-identify on your electronic application. Offer of employment is conditional upon the completion of all applicable background checks and confirmation of credentials, the results of which must be satisfactory to the employer . We thank all applicants for their interest, however, only those selected for an interview will be contacted. For questions or concerns, please contact Competitions@novascotia.ca. Click here to see how we won! Lands and Forestry Legal Services Technician 1(A)-(B)-2, Permanent, HALIFAX Competition # 17938 About Us Nova Scotia is rich in natural resources – including biodiversity, forests, provincial parks and the land we manage. The Department of Lands and Forestry is responsible for the development, management, conservation and protection of forest, parks and wildlife resources and the administration of the province's Crown land. Together we are working with Nova Scotians to build a better future through sustainable natural resource management as we all benefit from the natural health and wealth of the province. About Our Opportunity As the Legal Services Technician, you will be responsible to research and analyze legal documents and historical records for data used to establish title history for Crown lands. This includes accurate and timely preparation of Crown lands research reports and recommendations. You will interpret Grants, petitions, certificates of title, leases, letters of authority, and other pertinent land transaction documents as well as aerial photos, maps and plans. You will also assist the public, genealogists, historians, museums, archaeologists, lawyers, land surveyors, personnel from other government departments and Lands and Forestry staff, in relation to inquiries about Crown land records. You will provide copies of requested documents and be responsible for processing payments for research requests. This position reports to Supervisor of Research and Records Management for the Crown Lands Information Management Centre. About You This position requires the successful completion of a two-year paralegal technology course from a recognized institution. An equivalent combination of education and experience will be considered. You must be familiar with and/or have a working knowledge of the following: applicable legislation including the Crown Lands Act and the Land Registration Act as well as relevant policies and procedures Common Law land registration systems (both Registry of Deeds and the Land Registration) municipal, provincial and federal jurisdictions and responsibilities pertaining to land You should also have a good understanding of legal descriptions, aerial photos, geographic information systems, records management as well as knowledge or an understanding of survey plans and maps. You must be a strong communicator (both verbally and in writing) and able to work in a team environment. You need a strong working knowledge of computer technology, specifically Microsoft Word, Outlook, Internet and spreadsheet databases. Experience in the administration of government land holdings will be considered an asset. Understanding of cultural diversity, creating a diverse workforce and experience in promoting cultural diversity in the work place will also be considered an asset. Pay Grade: TE 13 - TE 19 Salary Range: $1,404.00 - $2,038.00 Bi-Weekly This is a bargaining unit position initially restricted to current civil service employees represented by the Nova Scotia Government Employees Union (NSGEU). If applying from outside a g overnment office, e mployees must apply correctly via this link: Failure to apply correctly means that your application will not be given first consideration as a bargaining unit applicant, and will only be included if external applications are pursued. External applicants and current casual employees will only be considered if there are no qualified civil service bargaining unit candidates. Our goal is to be a diverse workforce that is representative, at all job levels, of the citizens we serve. The Government of Nova Scotia has an Employment Equity Policy and we welcome applications from Aboriginal People, African Nova Scotians and Other Racially Visible Persons, Persons with Disabilities and Women in occupations or positions where they are under-represented. If you are a member of one of the equity groups, you are encouraged to self-identify on your electronic application. Offer of employment is conditional upon the completion of all applicable background checks and confirmation of credentials, the results of which must be satisfactory to the employer . We thank all applicants for their interest, however, only those selected for an interview will be contacted. For questions or concerns, please contact Competitions@novascotia.ca. Click here to see how we won! Stewart McKelvey is an innovative, client-driven law firm committed to providing the highest quality of ethical legal services, earning clients' trust and striving to meet and exceed expectations. The firm invests in its people, technology and its business to ensure the continued delivery of the quality service that clients have come to expect from the firm. Stewart McKelvey has earned a reputation as a leader in the profession and a supporter of the communities in which we live and work. Our forward thinking perspective results in outperforming expectations. As a firm, we value diversity and are committed to providing a workplace that fosters a culture of awareness, appreciation and respect. It is our mission to promote diversity and inclusion throughout the firm, to support the diversity initiatives of our clients, and to encourage greater inclusion in our communities through sponsorships and support. It is our belief that diversity and inclusion enhances the delivery of legal services to our clients through the respected and valued input of diverse perspectives, ideas and experiences. Stewart McKelvey requires the skills and talents of a broad range of staff to meet its objectives. We offer full time permanent staff a challenging and progressive environment with a competitive compensation and group benefits package. We are currently seeking a Legal Assistant (Corporate) join our team based in our Halifax, NS office. Start Date: March, 2019 Type of Position: Full Time, Permanent Close Date: Sunday, March 17, 2019 Position Summary: To provide high quality legal administrative support and assist in managing the practices of a partner and an associate. Candidate Profile: Maintains high level of confidentiality; Excellent legal and administrative skills with the ability to multi-task; Excellent attention to detail and superior proofreading skills; Above average word processing skills, particularly in Microsoft Word; The ability to provide logistical support for projects; Strong organizational and time management skills; The ability to take initiative; The ability to deal effectively with clients and have excellent written and oral communication skills; Must be willing to work flexible hours when required; Successful completion of a legal assistant, paralegal services or administrative program at the post-secondary level is preferred; and Knowledge of corporate law would be considered an asset. Interested Candidates: Interested candidates can apply here . To learn more about Stewart McKelvey please visit our website at www.stewartmckelvey.com . We thank all applicants for their interest. However, only those selected for an interview will be contacted. All candidates who are interviewed will be requested to complete a Predictive Index. Please note that any offer of employment will be conditional upon a satisfactory background check. Stewart McKelvey is committed to providing an inclusive workplace. During the recruitment process, applicants have the right to request an accommodation. Applicants invited to participate in an assessment process, such as an interview or testing, and who require accommodation should discuss their needs with the Recruiter. No agencies please. Job Title Insurance Lawyer Work Location 1791 Barrington Street Country Canada Province/State Nova Scotia City Halifax TD Description Tell us your story. Don't go unnoticed. Explain why you're a winning candidate. Think "TD" if you crave meaningful work and embrace change like we do. We are a trusted North American leader that cares about people and inspires them to grow and move forward. Stay current and competitive. Carve out a career for yourself. Grow with us. Here's our story: jobs.td.com Department Overview Reporting to the AVP Claims Litigation Services, legal counsel handles assigned property and casualty insurance legal matters, and represents TD Insurance or its policyholders in civil litigation involving claims for monetary damages or compensation for personal injury or property damage. Time Type Full Time Employment Type Regular Hours 35 Business Line Other Job Family Legal Counsel Job Category - Primary Legal Services | Counsel Job Category(s) Legal Services | Counsel Job Description • Uses Litigation Protocols to develop and revise appropriate legal strategy for discovery, investigation, handling and trial/hearing of cases or matters; advises, communicates and develops those strategies with TD Insurance claims representatives and insured clients, as appropriate. • Conducts necessary and appropriate discovery, hearings, trials, oral arguments, settlement negotiations, mediations, arbitrations and similar proceedings. Researches the law applicable to cases or matters. Drafts legal documents, pleadings, motions, legal factums and opinions as required. • Advises, communicates and consults with Claims Representatives and Insured Clients, rendering clear, unambiguous legal opinions and advice. Personally meets with, and maintains good relations and communications with claims representatives and insured clients. • Remains current with developments in the law; understands medical, scientific, construction, product liability, engineering issues and defences involved with such cases. Job Requirements • Completion of law school with LLB or JD and admission to the Bar in Nova Scotia and/or New Brunswick. • Minimum of 2 years post-call experience as a lawyer in Ontario. • Background in insurance defence litigation, including personal injury (preferred), and/or general litigation experience. • Knowledge of legal and court documents and procedures. • Knowledge of standard office equipment and word processing. • Excellent oral and written communication skills. • Ability to communicate effectively with insured clients, claims representatives, judges and tribunal members. • Excellent legal drafting skills and eye for detail. • Motivated self-starter with ability to work productively under pressure and deliver business results. • Strong interpersonal & client service skills; professional and positive demeanour. • Superior organization & priority setting skills, strong work ethic and ability to multi-task. • Conceptual and creative problem solving skills Additional Information We wish to thank all applicants however, only successful candidates will be contacted for interviews. Inclusiveness At TD, we are committed to fostering an inclusive, accessible environment, where all employees and customers feel valued, respected and supported. We are dedicated to building a workforce that reflects the diversity of our customers and communities in which we live and serve. If you require an accommodation for the recruitment/interview process (including alternate formats of materials, or accessible meeting rooms or other accommodation), please let us know and we will work with you to meet your needs. We are seeking a corporate lawyer with a civil law degree from a Canadian university to join our Legal Services Centre (LSC) in Halifax, Nova Scotia. This role offers the successful candidate an opportunity to engage in challenging, important work in a flexible and collaborative setting. The ideal candidate will have a strong service orientation, excellent time management and organizational skills and superior attention to detail. We would be open to flexible work arrangements. The ideal candidate will: have at least two years of corporate experience at a top law firm; have a civil law degree and will be fluently bilingual; have strong technical, legal, analytical and drafting skills; have exceptional organizational skills and attention to detail; have a high degree of professionalism and excellent interpersonal skills and a willingness to collaborate with colleagues and client personnel; have the ability to work independently and as a part of a team to prioritize tasks and meet deadlines while working in a fast paced environment; have the ability to deal easily with ambiguity and change, including changing priorities and timelines; have the ability to work flexible hours when required to meet client demands; and be a member of good standing of a provincial bar and be willing to be called to the Ontario bar. Being called to the bar in Québec and having a common law degree would be an asset, but it not a requirement for the role. Interested candidates should forward their resume in confidence to Kimberly Sheldrake-Head. Please visit our website for more details on how to apply: https://www.torys.com/careers/legal-professionals/lawyers/current-opportunities At Torys, we are committed to diversity in the recruitment, retention and advancement of our people. We believe that diversity of backgrounds, experiences and perspectives enhances the quality of our work and enriches our lives. We are committed to fostering an inclusive and accessible work environment. Accommodations are available for applicants with disabilities. If you require immediate accommodation at any time during the recruitment process, please contact Kimberly Sheldrake-Head, Senior Manager, Professional Resources. Legal Assistant –Term until January 2020 By working to keep Nova Scotians safe, healthy, and on the job, and supporting them when their lives are impacted by workplace injury, WCB Nova Scotia is contributing to a safer, stronger province. We provide workplace injury insurance to approximately 19,500 employers and 335,000 workers across the province. Our vision is a Nova Scotia safe and secure from workplace injury. WCB Nova Scotia is consistently recognized as a top employer in Atlantic Canada and across Canada, including the national honour of being a Top 100 Employer and one of Canada's Most Admired Corporate Cultures. About the Role The WCB is seeking a service-oriented, adaptable individual with administrative experience to join our Legal Services Team. As a Legal Assistant, you deliver high-quality clerical and administrative support services to the Legal Services team. This may include legal work associated with third party, investigations, contracts, privacy, labour relations, and interjurisdictional matters. The specific duties of this role may include: scheduling and organizing meetings for legal counsel; creating agendas; compiling and distributing minutes; creating and maintaining filing systems (both paper and electronic); formatting reports; maintaining office supply inventory; as well as typing, transcribing and copying various legal correspondence. As an ideal candidate, you possess:  Graduation from an office administration program and a minimum of three years’ experience in an office environment.  Experience in a legal office environment would be an asset, as would experience working in a team environment. As safety champions, all employees are responsible for following safe work procedures; using personal protective and safety equipment as required; knowing and complying with all regulations; reporting any illness or injury immediately to their manager; reporting unsafe acts and unsafe conditions; and cooperating with occupational health and safety initiatives. We are a scent free environment. WCB champions safety and promotes a diverse and respectful workplace. We offer a competitive compensation package including a salary range of $36,792-45,942 Please email your resume and cover letter as one document with your name and the job title in the document title (Microsoft Word format) to hrdept@wcb.gov.ns.ca by 4 pm, November 20, 2018 In the subject line of your email, please quote competition number: JV 115-18 EXT Legal Assistant. We thank all candidates for their interest, however only those selected for an interview will be contacted. Any offer of employment will be conditional upon the completion of all applicable background checks and confirmation of credentials, the results of which must be satisfactory to the employer. The WCB is an equal opportunity employer committed to supporting and developing our employees. For more information, visit our website at www.wcb.ns.ca. Dalhousie University is Atlantic Canada's leading research-intensive university and a driver of the region's intellectual, social and economic development. Located in the heart of Halifax, Nova Scotia, with an Agricultural Campus in Truro/Bible Hill, Dalhousie is a truly national and international university, with more than half of our 18,500 students coming from outside of the province. Our 6,000 faculty and staff foster a vibrant, purpose-driven community, celebrating 200 years of academic excellence in 2018. Reporting to the President, General Counsel is the University's most senior legal position and manages all legal services for Dalhousie. The General Counsel and Managing Director is called upon to provide the President and Senior Executive Team with expert legal strategic advice on a variety of issues affecting the University. This is a position of leadership and oversight and plays a critical role in the University's risk management process. Key Responsibilities: Provides the President and the Senior Executive Team with constructive, timely and strategic advice. In doing so, the General Counsel and Managing Director is expected to scan the environment, anticipate future trends and issues, assess the current landscape, and provide advice on successful navigation among the many university and external interests and perspectives. Identifies legal issues that pose significant risk to the University, and identifies legal trends that may impact the University in the future. Provides formal and informal education and awareness with multiple stakeholders within the institution regarding such legal issues, how to approach them and how to mitigate exposure to them. Assesses the University's legal liability with respect to its policies, processes and procedures. Recommends the appropriate steps for risk management. Analyses major areas of concern to the organization and recommends changes in policies and procedures. Provides advice to ensure that major University policies are aligned with best practice. Provides university governance advice to the President and senior officers of the University Board of Governors and Senate, to assist them in ensuring that University practices and processes comply with Board By-Laws, the Senate Constitution and underlying regulations, and the University's enabling statute. Works closely with the University Secretariat on policy development, compliance with Board by-laws and the Senate Constitution, and other matters relating to Board and Senate governance. Manages the day-to-day operations of the Legal Counsel Office, including delegation of operational duties to the Assistant General Counsel and other members of the legal services team. Recruits highly qualified staff to the Legal Counsel Office and leads, guides and monitors a complement of in-house lawyers whose practices comprise a wide range of legal specialities including education, corporate and commercial, construction, real property, intellectual property, human rights, civil litigation, administrative law, health law and insurance, among others. Oversees the Privacy Officer, who has the responsibility of overseeing the University's compliance with privacy legislation and responding to access to information requests. Offers guidance and support to the Office of Human Rights and Equity Services as appropriate. Retains and instructs outside counsel in the conduct of litigation involving the University, and in the execution of legal work that is of such a specialized nature that it cannot be undertaken by the office or that requires legal resources beyond what the office can provide. Engages with the Faculty of Law on programming and partnership opportunities. Qualifications: Qualified candidates will possess a LLB or JD degree, be eligible to practice law within Nova Scotia, and be a member in good standing of the Nova Scotia Barristers' Society. Must have significant experience as a practicing lawyer. Current knowledge of the university legal environment and a solid understanding of the university community is preferred. Familiarity with human rights and Canadian Charter of Rights and Freedoms, particularly within a post-secondary context is preferred. Must have strong interpersonal skills and the ability to deal with a wide range of individuals tactfully and diplomatically in a wide variety of circumstances. Demonstrated appreciation of issues surrounding equity and diversity is required, including cultural competency with historically disadvantaged communities in Nova Scotia. Must have experience providing advice to multiple stakeholders, including underrepresented groups, with diverse interests in a complex organization. Demonstrated ability and experience in recruiting, retaining, leading and inspiring a high-performing team in a legal services office or similar environment is required. 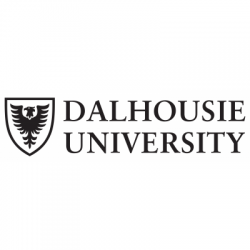 Must demonstrate effectiveness in Dalhousie's Core and Leadership Competencies https://www.dal.ca/dept/leaders.html, in particular: Integrity Respect and Inclusion Communication Thinking and Acting Strategically Relationship Building Development Dalhousie University supports a healthy and balanced lifestyle. Our total compensation package includes a defined benefit pension plan, health and dental plans, a health spending account, an employee and family assistance program and a tuition assistance program. Apply online by October 14th 2018 to competition EXAD-18003. Applications from university employees and external candidates are given concurrent consideration. Among short-listed candidates, university employees will be given special consideration. We thank all applicants for their interest, however, only candidates selected for an interview will be contacted. Dalhousie University is committed to fostering a collegial culture grounded in diversity and inclusiveness. The university encourages applications from Aboriginal people, persons with a disability, racially visible persons, women, persons of minority sexual orientations and gender identities, and all candidates who would contribute to the diversity of our community. For more information, please visit www.dal.ca/hiringfordiversity . Ecojustice is Canada's largest environmental law charity. We use the law to defend nature, combat climate change and fight for a healthy environment for all. Our strategic, innovative public interest lawsuits lead to nation-wide precedents and deliver concrete solutions to our most urgent environmental problems. Ecojustice is 100 per cent funded by individuals and organizations who share our values. To learn more about how we are building the case for a better earth, please visit: www.ecojustice.ca. About the Role: As a member of the Ecojustice Program team, the Staff Lawyer plays a key role in: Program Duties: Developing and carrying litigation files (min 2/3 of time) and law reform and other work (max 1/3) identified as priorities for Ecojustice; Participating as a team member on at least one of Ecojustice's 3 priority teams, including conducting research and case development in pursuit of strategic case development and law reform work, constructively reviewing priority team work-plans; helping to evaluate projects proposed to the team; and contributing to the work of the priority team(s); Keeping up-to-date on new developments in relevant areas of law, undertaking reasonable training to maximize expertise, and assisting program peers in training and maintaining the highest practice standards; Maintaining good standing as a lawyer; Acting in a professional manner in all external and internal relationships, including by providing constructive feedback to fellow program staff; Mentoring junior staff lawyers, students and/or volunteers (as appropriate); Supervising, collaborating with and/or enabling science staff to maximize their contribution to legal work; Supervising, collaborating with and/or enabling of program administrative staff; Cultivating relationships with current and future clients, experts and other members of the bar; Sharing with other program staff in administrative tasks, including interviewing new staff, supervising and mentoring students, and helping with responses to new case inquiries; Maintaining an up-to-date record of time and activities through timekeeping software, including reporting lobbying and political activity; Following policies and processes as set out in the Ecojustice Staff Policy Manual and Program Policy Manual; Participating in regularly scheduled program and staff meetings; and Sharing with other program staff in responding to new case inquiries. Communication and Philanthropy activities Guiding, collaborating with and supporting communications staff to develop communication opportunities that support program goals and Ecojustice's mission, and participating as a spokesperson on behalf of Ecojustice; Providing information, updates and feedback to communications and philanthropy staff on an ongoing basis and as reasonably requested; Cultivates relationships with current and future clients, other environmental lawyers, current and future foundations and individual donors; and Attending and participating at fundraising or other profile raising events (external/internal) including speaking engagements as can be reasonably accommodated. Reports to Program Director, but ultimately is accountable to the entire program team. About You: Education & experience requirements Bachelor's degree, law degree and a member in good standing with relevant law society. Litigation, environmental law, administrative law, aboriginal law and public policy experience. Experience in the environmental sector Experience contributing to and working as part of a team Minimum of 7 years of experience Knowledge required to perform duties: Excellent technical/legal writing and communication skills; Flexible, adaptable, good judgment and uses discretion in dealings with sensitive information; Demonstrated litigation and negotiation skills; and Knowledge of the environmental sector, key issues and players. Skills and abilities required to perform duties: Dedicated to environmental protection; Communication: Able to explain legal and scientific information and concepts to general public; Group Work Skills: Commitment to work in a team environment, across disciplines, with individuals across Canada. Application Process: Ecojustice is committed to creating a diverse, equitable, and inclusive work environment. We welcome and value the contributions of individuals who identify as members of a minority or marginalized community, and encourage applications from Indigenous peoples, women, people of colour, and people with a disability. Interested applicants should submit their cover letter and resume online at: www.ecojustice.ca/careers no later than the February 23, 2018 closing date. If you have any questions about this role, please contact Emma Billard, HR Coordinator, by email at ebillard@ecojustice.ca or by calling 604-685-5618 x 231. Halifax Regional Municipality (HRM) is seeking one permanent full time and a one up to one year term Solicitor for the Litigation Team. We encourage applications from qualified African Nova Scotians, racially visible persons, women in non-traditional positions, persons with disabilities and Aboriginal persons in the workplace. HRM encourages applicants to self-identify. If you are considering a challenging career move that offers a competitive compensation package and you are seeking to join the team that provides legal expertise to HRM staff and Council, please submit your application with cover letter, please indicate on your cover letter if you are applying for full time, temporary or both. HRM Legal Services provides quality, cost effective, timely and accessible legal services to meet the needs of HRM through its Council, various departments, boards, commissions, and employees. This Solicitor would be a member of the Litigation Team, reporting to a Team Lead and the Director. The Litigation Team represents and provides legal advice to the Municipality with respect to a broad range of legal proceedings including legislative challenges, personal injury litigation, employment law and labour arbitrations, commercial litigation and arbitrations, before various levels of court and administrative tribunals. The successful candidate(s) will be client focused and a self-motivated individual who will work both independently with minimal supervision and with a team of lawyers and support staff. They will be responsible for the conduct of litigation including managing their own caseload and assisting senior counsel with the conduct of more complex cases. They will demonstrate professional and ethical behaviour expected of the legal profession. DUTIES AND RESPONSIBILITIES Provides general litigation and dispute resolution services and advice to HRM; its business units, agencies, boards and commissions; Complies with HRM Legal Services’ Client Service Standards and Service Level Agreements; Represents clients in legal proceedings before courts and administrative tribunals; Assists senior counsel with preparation and conduct of litigation and dispute resolution; Maintains up to date knowledge and expertise in areas of law including statutes, case law, legal proceedings, and trends in the context of public law; Conducts legal research and provides legal opinions; Participates as part of the litigation team; Maintains positive relationships and effective communication with client business units; Attends meetings such as community councils or regional council, as required or assigned; Case management of legal files; Updates administrative records/databases/information systems as required QUALIFICATIONS Education and Experience: Law Degree from a recognized university 2-12 years relevant experience in the practice of law Member of the Nova Scotia Barristers Society or be qualified to be admitted Experience in one or more of the following areas of practice: litigation, personal injury litigation, labour and employment, contract and procurement, administrative and public law. Technical and Job Specific Knowledge: Technical Skills: possesses basic legal skills with emphasis on an understanding of the fundamentals of municipal law, ability to analyze legal documents, litigation basics and ability to write comprehensive yet concise legal opinions. Proficient in the use of Microsoft Office (Word, Outlook). Research Skills: possesses a sound knowledge of legal research techniques and software. Has the ability to research and synthesize complex legal and factual materials. Business Fundamentals: understands tactical business fundamentals and risk/benefit analysis and incorporates them into decision making or advice provided. Also ability to use basic rules, common sense, and past experiences to identify and address problems. COMPETENCIES : Customer Service, Communication, Organization & Planning, Values & Ethics, Valuing Diversity WORK STATUS : One full time, permanent position, and one 12 month term position HOURS OF WORK : Core hours of work are Monday – Friday, 8:30 a.m. – 4:30 p.m. with additional hours as required to meet organizational needs. SALARY : Compensation is commensurate with experience and education. WORK LOCATION : 5251 Duke Street, Duke Tower, 3rd Floor, Halifax, Nova Scotia CLOSING DATE : Applications will be received up to midnight on Sunday, April 1, 2018 SECURITY CLEARANCE : Applicants may be required to complete an employment security screening check. During the recruitment process, applicants have the right to request accommodation. Applicants invited to participate in an assessment process (such as an interview or testing) and who require accommodation, should discuss their needs with the Recruiter when invited to the assessment process. Qualified HRM retirees may also be considered for competitions. In these circumstances, a form of employment may be offered, including term and/or contract employment. About Ecojustice: Ecojustice is Canada's largest environmental law charity. We use the law to defend nature, combat climate change and fight for a healthy environment for all. Our strategic, innovative public interest lawsuits lead to nation-wide precedents and deliver concrete solutions to our most urgent environmental problems. Ecojustice is 100 per cent funded by individuals and organizations who share our values. To learn more about how we are building the case for a better earth, please visit: www.ecojustice.ca. About the Role: As a member of the Ecojustice Program team, the Staff Lawyer plays a key role in: Program Duties: Developing and carrying litigation files (min 2/3 of time) and law reform and other work (max 1/3) identified as priorities for Ecojustice; Participating as a team member on at least one of Ecojustice's 3 priority teams, including conducting research and case development in pursuit of strategic case development and law reform work, constructively reviewing priority team work-plans; helping to evaluate projects proposed to the team; and contributing to the work of the priority team(s); Keeping up-to-date on new developments in relevant areas of law, undertaking reasonable training to maximize expertise, and assisting program peers in training and maintaining the highest practice standards; Maintaining good standing as a lawyer; Acting in a professional manner in all external and internal relationships, including by providing constructive feedback to fellow program staff; Mentoring junior staff lawyers, students and/or volunteers (as appropriate); Supervising, collaborating with and/or enabling science staff to maximize their contribution to legal work; Supervising, collaborating with and/or enabling of program administrative staff; Cultivating relationships with current and future clients, experts and other members of the bar; Sharing with other program staff in administrative tasks, including interviewing new staff, supervising and mentoring students, and helping with responses to new case inquiries; Maintaining an up-to-date record of time and activities through timekeeping software, including reporting lobbying and political activity; Following policies and processes as set out in the Ecojustice Staff Policy Manual and Program Policy Manual; Participating in regularly scheduled program and staff meetings; and Sharing with other program staff in responding to new case inquiries. Communication and Philanthropy activities Guiding, collaborating with and supporting communications staff to develop communication opportunities that support program goals and Ecojustice's mission, and participating as a spokesperson on behalf of Ecojustice; Providing information, updates and feedback to communications and philanthropy staff on an ongoing basis and as reasonably requested; Cultivates relationships with current and future clients, other environmental lawyers, current and future foundations and individual donors; and Attending and participating at fundraising or other profile raising events (external/internal) including speaking engagements as can be reasonably accommodated. Reports to Program Director, but ultimately is accountable to the entire program team. About You: Education & experience requirements Bachelor's degree, law degree and a member in good standing with relevant law society. Litigation, environmental law, administrative law, aboriginal law and public policy experience. Experience in the environmental sector Experience contributing to and working as part of a team Minimum of 3-4 years of experience Knowledge required to perform duties: Excellent technical/legal writing and communication skills; Flexible, adaptable, good judgment and uses discretion in dealings with sensitive information; Demonstrated litigation and negotiation skills; and Knowledge of the environmental sector, key issues and players. Skills and abilities required to perform duties: Dedicated to environmental protection; Communication: Able to explain legal and scientific information and concepts to general public; Group Work Skills: Commitment to work in a team environment, across disciplines, with individuals across Canada. Application Process: Ecojustice is committed to creating a diverse, equitable, and inclusive work environment. We welcome and value the contributions of individuals who identify as members of a minority or marginalized community, and encourage applications from Indigenous peoples, women, people of colour, and people with a disability. Interested applicants should submit their cover letter and resume online at: www.ecojustice.ca/careers no later than the March 30, 2018 closing date. If you have any questions about this role, please contact Cheryll Januszewski, HR Manager, by email at cjanuszewski@ecojustice.ca or by calling 604-685-5618 x 232.